TIFF TIPS 2016: Red Carpets and Celebrities! Each year, the Toronto International Film Festival attracts many industry delegates, filmmakers, and celebrity actors. One of the most exciting and lively elements of the festival can often be the red carpet arrivals at a film’s premiere. While it’s important not to forget the importance of the films themselves, these events, as they happen each day of the festival, add a sense of buzz and electricity to the air. The city comes alive. Attending a red carpet arrival session to see you favourite stars can be a fun way to contribute to your festival experience but they can be difficult to navigate until you have experienced a few. They often require you to wait patiently for hours to stake out the best possible spot, with no guarantee that you will snag that coveted autograph or photo. Where are the Red Carpets? There are 5 main venues that host premium red carpet screenings during the festival. Roy Thomson Hall hosts the films selected for the Gala programme, and the Princess of Wales Theatre, Elgin Theatre, Winter Garden Theatre, and Ryerson Theatre host premieres from the Special Presentations programme. The Isabel Bader Theatre and Glenn Gould Studio will also occasionally host premium events but those may not include a red carpet arrival. The setup for the fans at each venue is different so this guide will assist in learning how to navigate each one successfully. Red Carpet Location: David Pecaut Square, in the park just west of the venue. This venue holds the largest red carpet arrival area but can also be the most difficult to score an autograph at. You will be competing with fans that do nothing but wait there all day, often arriving at 8AM or earlier, to stakeout their spot. There will also be the amateur photographers, and often they will bring stools or milk crates to stand on which can be incredibly frustrating to stand behind. There will be a long row of white media tents set up that houses the actual red carpet, as well as a long row of metal fencing where the cars pull in that connects to the tents. In previous years, fans were stationed on both sides of the fence in the vehicle arrival area and the festival has also added tiered seating with great vantage points and ample opportunity for autographs. They let fans into the inner area shortly before the arrivals start. You must line up in a special spot for that privilege. Recently the red carpet has been expanded to now include the fan zone. The vehicles stop in the middle of David Peacut Square at the start of the red carpet and let the talent out. They could get out of either side of the vehicle and will generally approach the fans of the side they are on. The ideal location is either on the inner side of the vehicle arrival area or on the outer side near where the vehicle stops. Generally though, the further away you are from the white tents, the less likely the actors will come your way. If they actor comes to your section, have your camera and autograph marker ready. Be cautious! The crowd will push forward and will be yelling the actor’s name. The security guards may have to push back on the fence or they may even tell the crowd to stop pushing or the actor will not go to them. You may get lucky and have an actor that will pose for the fans but often all you get is just a wave as they make their way to the media. Red Carpet Location: King Street, directly in front of the theatre. The arrival area at this venue seems to be particularly fan-friendly. The fencing runs on both sides of King Street. With the street closed, the actors have lots of room to walk along the crowds taking pictures and signing autographs. The red carpet is located at the main doors of the theatre, leading up from the street. The prime spot to stake out a spot on the fence is directly opposite the carpet, as the vehicle will probably stop there, but the crowd does continue down the street on both the north side and south side along the fencing. You will still likely have people pushing forward towards the fence but in previous years, the actors seem to have interacted with the fans up and down both sides, often having a good time doing it and with a more relaxed atmosphere. The setup outside now includes a photo wall and photographers right next to the entrance into the theatre. eeThe media is all positioned inside the theatre so the fans do not have to compete with them. Red Carpet Location: Yonge Street, between Queen Street and Shuter Street, at the main entrance to the venue. The Elgin and Winter Garden theatres share red carpet space, given that they are in the same building. During the festival, Yonge Street will be closed between Queen and Shuter for this venue. Metal fencing will be up at Queen and then up both sides of Yonge, along the front of the theatre. The red carpet is positioned at the main entrance of the theatre, with the fencing split to provide an opening. The crowds will gather behind the fence on either side of the opening, in and around the main entrance, and across the street directly opposite the carpet. The vehicles pull up in front of the carpet, where they will let the talent out. Similar to the Princess of Wales Theatre, with the street closed, the actors have a lot of room to walk along the fence and interact with the fans. The prime spots are right at the corners of opening right next to where the vehicles stop and leading up to the main entrance, as well as across the street opposite the carpet. If they are into it, the actor may walk up and down all the sections of the fence. If they are rushed, they will likely stick to the parts of the fence closest to the main entrance. Again, the media is inside the theatre so, if they have the time, this is a good venue for the actors to interact with the fans first outside. Pro-Tip for Film Goers: Elgin is easily the best venue for people attending a film to see the actors on the Red Carpet. There is a long hallway roped off in a section for the actors to walk down, indoors. Once you get your seat – head back out to the main hallway to watch the Actors pass by. Red Carpet Location: Gerard Street, near Church Street, in from the street, along the main entrance, and along the side to a secondary entrance to the theatre. The red carpet at this venue is tucked in a bit from the street. It follows the sidewalk inward towards the courtyard next to the theatre. It’s easy to spot though as you’re walking along Gerard Street. There will be fencing lining both sides of the carpet. The side closest to the main entrance doors will be for the media and the opposite side will be for the fans. The carpet is of decent length so it is possible to spread out a bit for a better opportunity, and the actors will walk past the entire crowd as they make their way to the side entrance of the theatre. However, the prime location to see the actors, and to get pictures and autographs, is directly opposite the media and next to the photo wall. This is always the spot that fills up first. Often what happens is the actors will do their duties of talking with the media and then turn right around and go over to the crowd that was behind them. If they are into it and engaging with the fans, they will try and make their way down the entire carpet until they have to go inside. Getting an autograph or close-up picture at this venue can be a toss-up, so try spreading out along the carpet. Exactly where and when can I see my Favourite Actor? So now that you know where to find the red carpets and where to best position yourself to try and obtain that elusive celebrity signature, who’s going to be in Toronto this year for the festival? In the past, try as they might, the TIFF Official Guest List isn’t always accurate or comprehensive. It’s best to do two things when preparing. Read through the Official Guest List press release and make a list of actors you’d want to see in person. Then research which film they are in that is playing at the festival and find out when and where the premiere (1st screening) of that film is. This is where you are most likely to see the actor. Another approach would be to look at the Official Film Schedule to see what the Premium screenings are. Aside from the occasional premium screening of a European or foreign language film, these screenings will likely have the A-listers in attendance. Research which actors are in each film to determine which ones you’d like to see arrive at the venue for their film. It is possible to enjoy the arrivals without having to wait around all day but if you do plan to go early to secure a spot along the fence (we suggest at least 3 hours before the film is scheduled to begin), remember to pack the supplies listed in our TIFF Tips Venues article to survive the waiting. REMEMBER: When they arrive, the actors also have an obligation to speak with the media. If they are late arriving, they will not have time to interact with the crowds outside the theatre. It is entirely possible that the actor will skip your part of the line and your hours of waiting will be for nothing. Be emotionally prepared. Typically the arrivals are anywhere from 45 to 15 minutes before the start time of the movie. The actors will be pulling up in vehicles in front of the theatre and getting out in front of the crowds. If they have time, and if they are willing to engage with the fans, the actors will then make their way along different sections of the red carpet. It is at this point that the situation has the potential of becoming dangerous. People will start pushing forward in an effort to get closer. It is not uncommon to lose your balance or footing. Is it always so Crowded? It is easy to become discouraged, as you will likely face freelance photographers trying to get the perfect shot and celebrity hounds just trying to collect as many autographs as possible to re-sell later. These people will often lay claim to their spot along the barriers hours in advance, often waiting all day. I do not encourage this behaviour and recommend trying to retain a balance between recognizing the artistic importance of the films selected to screen at the festival and having fun appreciating the glitz, glamour, and allure of the red carpet. I’m going to a film. Can I see the Red Carpet Too? The general rule is that if you have a ticket to the film screening that has the red carpet arrival, you probably won’t be able to watch the actors arriving. It will be a choice of either waiting in the arrival area, or waiting in the ticket holder line. Often the ticket holders are already being ushered in before the actors have even arrived. If you do have a ticket to the screening, the actors will be brought out on stage for an introduction to the film so you can see them that way and again if there is a Q&A at the end. There may be an exception to this rule if you are attending a screening at the Elgin, Winter Garden, or Ryerson Theatres where there may be opportunity to see the actors in passing on your way in, but it particularly holds true for Roy Thomson Hall and the Princess of Wales Theatre. The ticket holder line for Roy Thomson Hall is on the opposite side of the venue that the arrival area is, on Simcoe Street, and the ticket holder line for the Princess of Wales Theatre is on Duncan Street around the corner. Do the Actors only go to ‘Premium’ Screenings? If they’re on the guest list, they’ll be attending at least one screening. It should be noted that typically the actors will only show up to the first screening of their films, regardless if it is Premium or not. However – ‘Premium’ screenings basically guarantee a Red Carpet Frenzy – and cast/crew Q&A. If you you really want to see That One Actor, try to attend the red carpet arrival for the Premium screening, or get a ticket for the first screening of the film. Often the actors are only in town for a very short window to promote their film and don’t typically stay for the duration of the festival. However, it’s not unheard of for some of the cast members to show up at second screenings of the film, especially if it’s the next day but don’t bank on that happening. Where else can I see the Actors? While in town, the actors will also be doing many interviews with press from all over the world. In the past, the Media Hub has been the Intercontinental Hotel on Front Street. Here there will be a constant rotation of journalists and actors doing the rounds for the films. TIFF also holds Press Conferences for each major film, and usually the main cast and director will attend – these are usually held at the TIFF Bell Lightbox – so keep your eyes peeled on King Street! The Press Conference schedule can be found on the TIFF.net website mixed in with the listings of all the films screening. Many of the actors also stay at the Ritz Carlton Hotel on Wellington Street across from Roy Thomson Hall. There is usually a gathering of fans outside every day during the festival in the valet car pickup/drop-off area. I hope it doesn’t need to be said – but please remember to respect the privacy of the celebrities that are visiting our city, and show that we are gracious hosts. While in town they will need to eat, sleep and maybe even shop – but following or bothering them in their personal time is unacceptable behavior. Please show respect. TIFF will be here before we know it – lets make sure it’s fun for EVERYONE! Stay safe! See all of our Toronto International Film Festival Coverage, on our TIFF Archive. 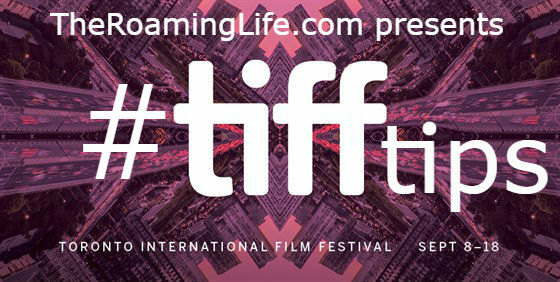 For more TIFF Tips on Tickets, Venues, or Celebrity Spotting, click the banner below!